You know what they say about vines struggling, and producing great wines? This is the epitome of that quote. The land under RdV vineyards. 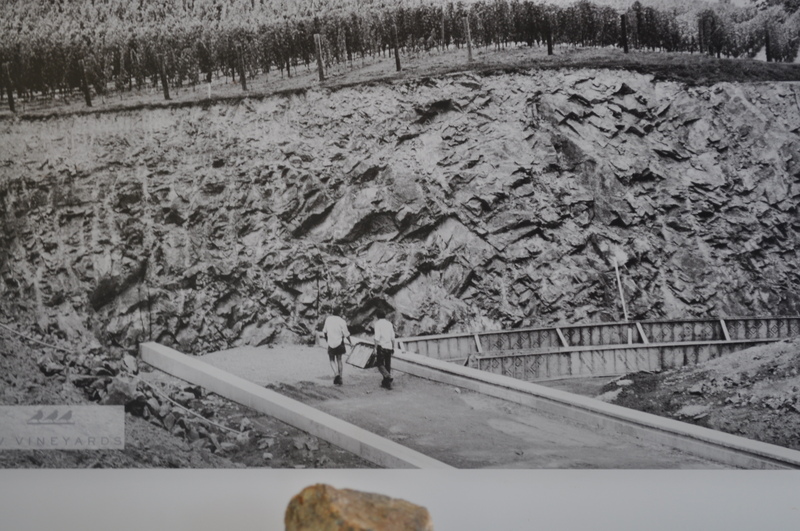 Before they built the winery. The caves are under the left wing of the building. The rooms with the vats and barrels, are to the right. The building itself, a work of art and architecture. Rutger de Vink, a former Marine (pictured above on the left) wanted to show that Virginia can make world class wines. The kind that rivals Bordeaux. He now has close to 900 people who buy his wines on a subscription basis yearly. Because they are that good. Release party for the 2011’s was yesterday. A beautiful day. 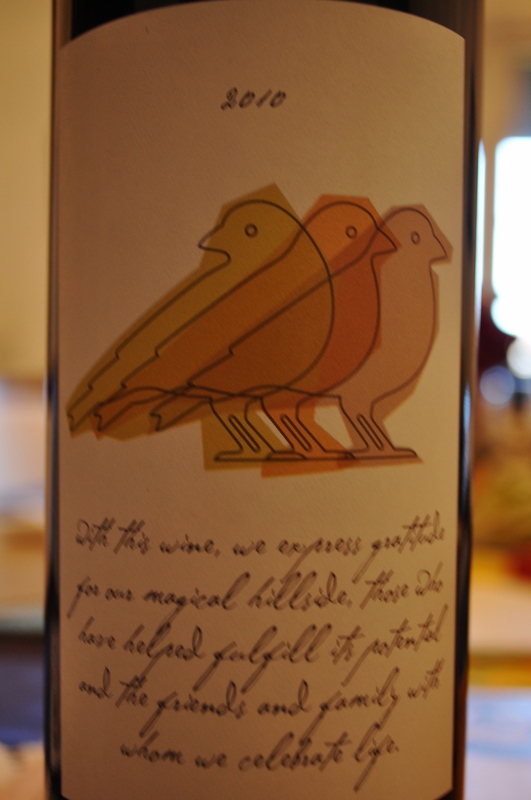 We had great wine. And, goodies from some local food trucks. Crab and lobster salads. Awesome BBQ. Burritos made from scratch. All served up with Friends and Families. 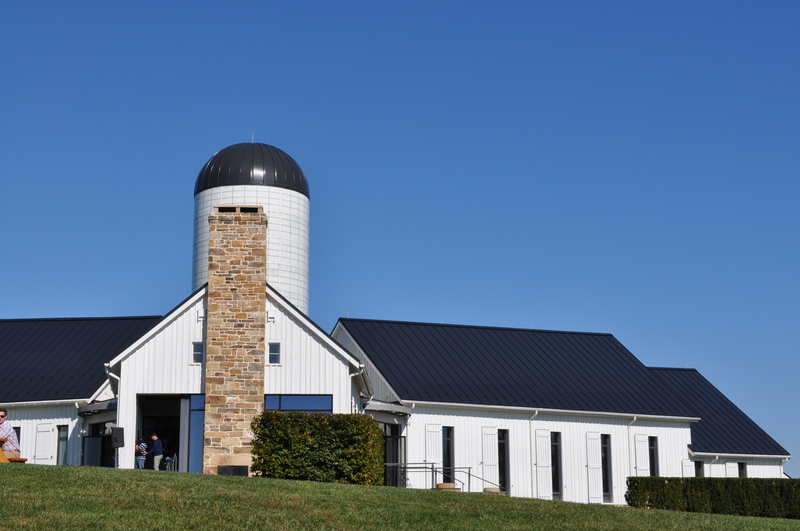 The quote does sum up how we feel about this small ambitious winery in the Shenandoah foothills. Thanks to Rutger and his team for giving us a little taste of Napa and Sonoma in our backyard. Wines to save for anniversaries. And birthdays. Wines to put Virginia on the international map. This locavore/locapour loves them. 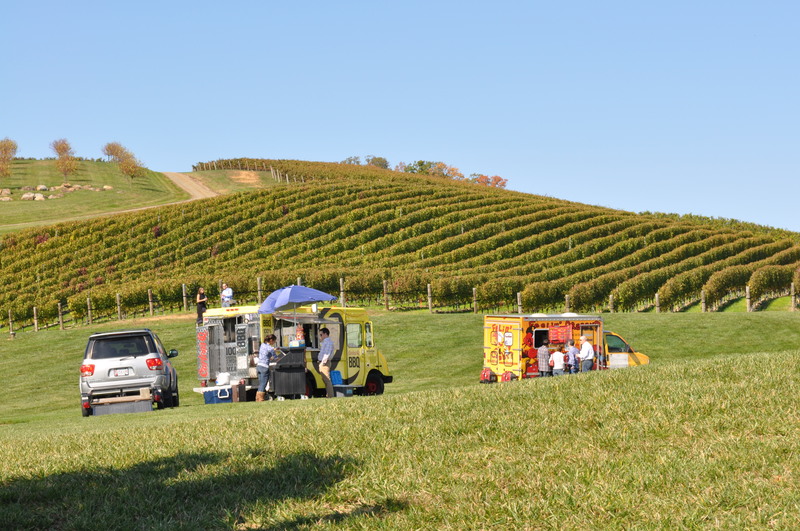 Posted in Hobbies, Locavore, Wine and tagged day trips, Locavore, VA wine, wine. Bookmark the permalink.